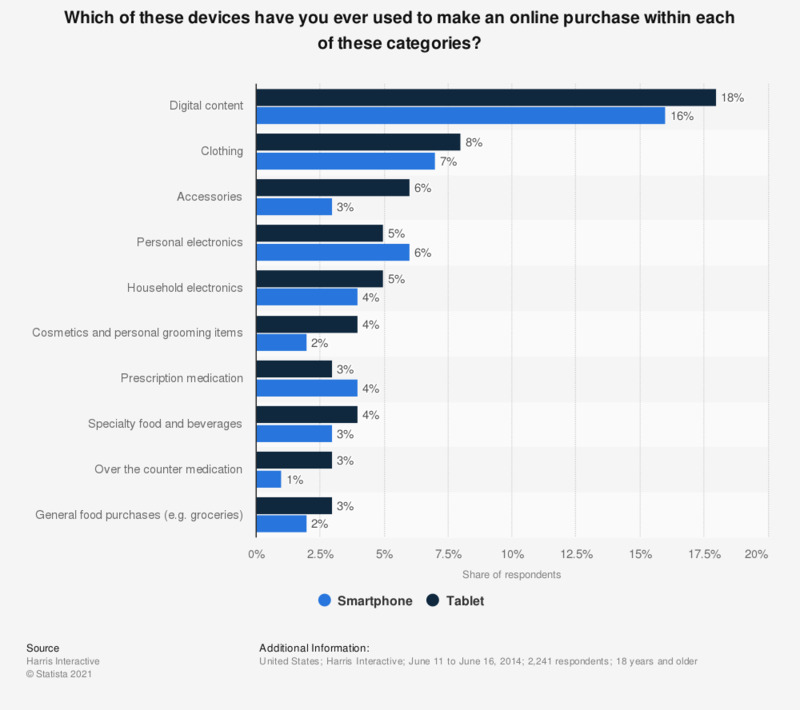 This statistic presents the mobile shopping device usage of Generation X online shoppers in the United States, sorted by category. During a June 2014 survey, it was found that 16 percent of Gen X respondents had purchased digital content, such as movies, music or ebooks, via smartphone. A further 18 percent had bought digital content via tablet device. Generation X is defined as respondents aged 37 to 48 years at the time of survey.